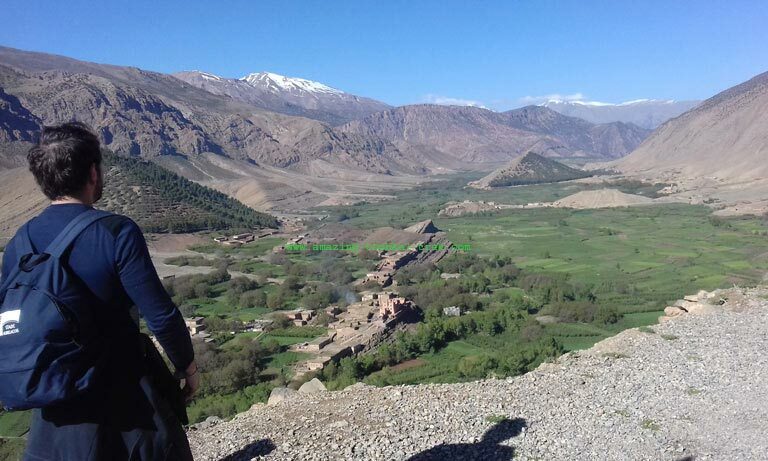 Ait Bougmez valley trek is a varied hike through the beautiful scenery of one of the high Atlas’s best-valleys. 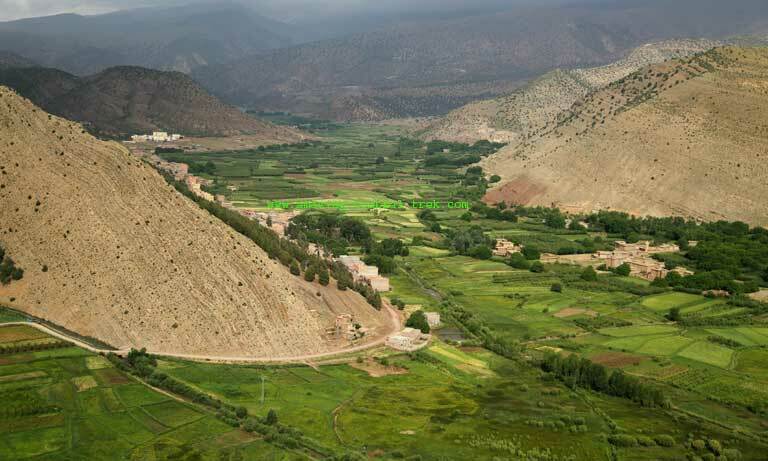 Ait Bougmez valley offers a perfect itinerary to discover Moroccan Berber culture. The beautiful view of the central high Atlas Mountains and the separate Berber villages of the valley is worth exploring. 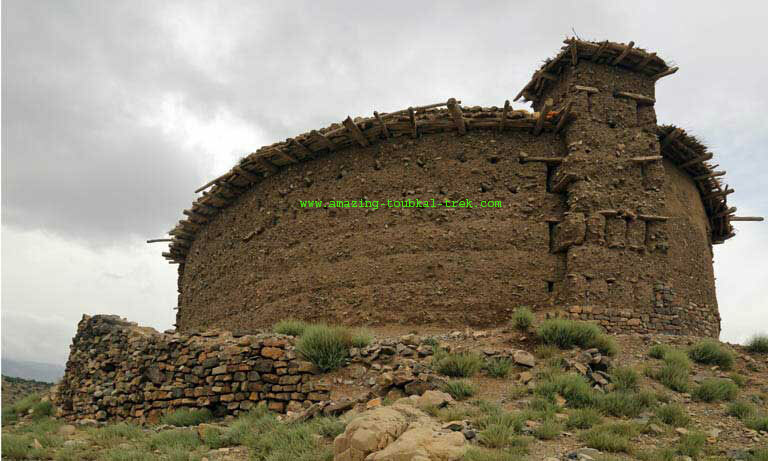 Ait Bougmez is a broad valley that is suitable for hiking experience and crossing traditional Berber villages. – Discover the footprints of Dinosaurs in the valley. After an early breakfast, we set off to the beautiful Bougmez valley, which is a five hours journey. Drive to visit Ouzoud Waterfalls and have picnic lunch there or in Azilal city. The tour continues to the village called Arouss. Meeting our mule team at the Valley, and spend the night in a local Guesthouse. In the morning after breakfast, we start our hike and get to meet villagers working in the fields. We cross different cultures on the terrace and bypassing via several villages. Lunch under the substantial walnut trees then we continue to the Ait Imi Source site. Camping in tents. 5 hours of trekking. Leaving the source after breakfast to explore the famous dinosaur footprints. We then proceed to the village of R’bat and trek upwards to the pass. Adazen Pass offers a spectacular view of the valley. After lunch, we descend to the other side of the valley and camp overnight in tents close to Ifran village. 5 hours walk. We leave Ifrane village very early morning for the Lake. We’ll cross cultures on the terrace by passing via other villages, then take a path that leads to the Lake. After lunch, we walk back down to Zaouit Almzi. 6 hours walking. Early breakfast, we proceed by trekking through the valley down to Timit Village. Dinner and overnight in the local Gite in the village. 5 h trek. Heading back to Marrakech early in the morning after breakfast, overnight in the hotel. 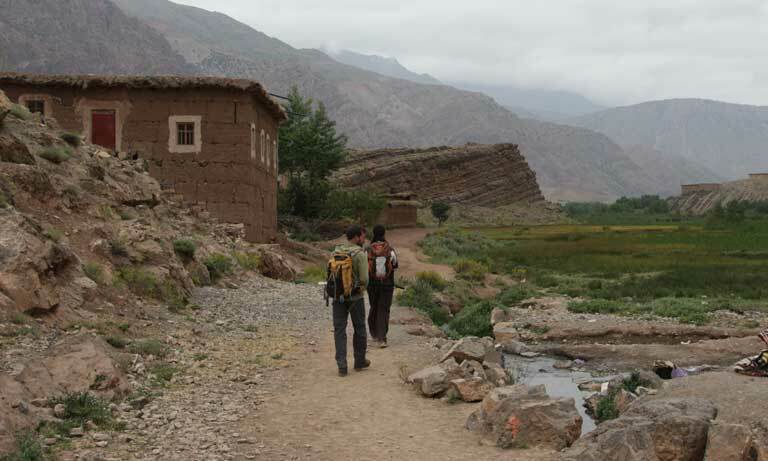 – The Ait Bougmez valley trek is available and can be arranged for groups of all sizes. 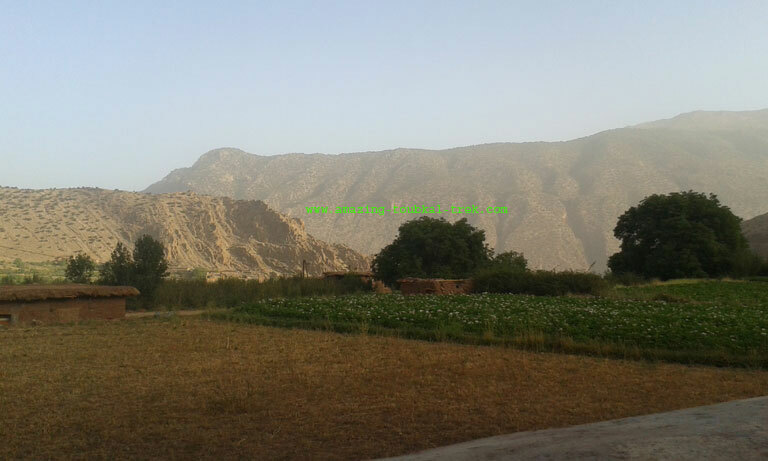 Ait Bougmez valley trek allows you to explore landscapes and heart of central high Atlas mountains. Ait Bougmez valley trek, Hiking in Ait Bougmez valley Morocco. Follow us on Facebook and Twitter.